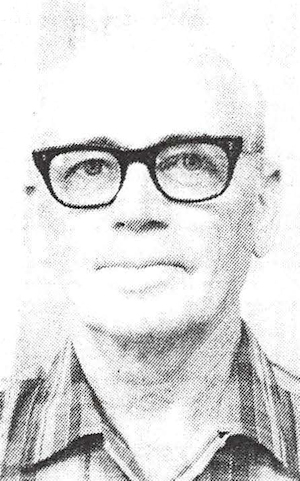 Obituary – Smith, Steward H. « Perry High School Alumni Association, Inc.
Obituary – Smith, Steward H.
﻿Funeral will be at 9:30 a.m. Monday, June 20, for Steward H. Smith, 83, 1010 Elm street, who died at 12:25 p.m. Thursday, June 16, 1994, at Perry Memorial hospital. Rev. Cortez Cranfill will officiate at the services at Brown Funeral home chapel. Burial will be at Grace Hill cemetery under the direction of Brown Funeral home. Smith was born July 8, 1910, at Tupelo, OK, the son of G. P. and Minnie Mary (Steward) Smith. He graduated from Perry high school in 1929 and attended Oklahoma A & M college. He and Videll McKee were married May 7, 1932. He served in the United States Navy from 1942-1945. He was a member of the IOOF lodge, American Legion, Masonic lodge, Cherokee Strip Historical Society, and a past member of the Perry City council. Survivors include his wife, Videll, of the home; two sons, Dean Steward Smith, Albuquerque, NM, and Gene Allen Smith, Silver Springs, MD; two granddaughters, Denise Lynn Smith, Orlando, FL; and Diane Smith, Albuquerque, NM; one grandson, Michael Steward Smith, Albuquerque, NM; and one great-grandson, Nicholas Jeno Norduchie, Orlando, FL. He was preceded in death by his parents, one sister and three brothers.